1. Make requests about her needs, especially as they pertain to footwear, while offering a free tutorial on how to make the perfect duck face. 2. Confidently assign names to her dolls. 3. Talk on the phone for hours in her tiny voice and steal your heart in the process. She’s also the reigning champion in the Four-Year-Olds Who Laugh Like Elmo category. 4. Pray for the one thing she hasn’t been able to do. Precious’ mom, Maricel, said they noticed a problem with her legs when she was about one year old. 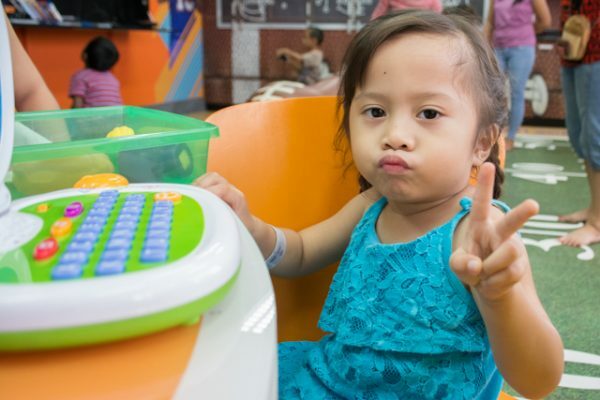 Maricel and her husband, Christopher, did everything they could to help Precious. They took her to months of expensive physical therapy sessions and to the best herbal doctor they could find, but nothing was working. Frustrated and running out of options, Christopher did what most of us do when we have a question and need a list of answers. 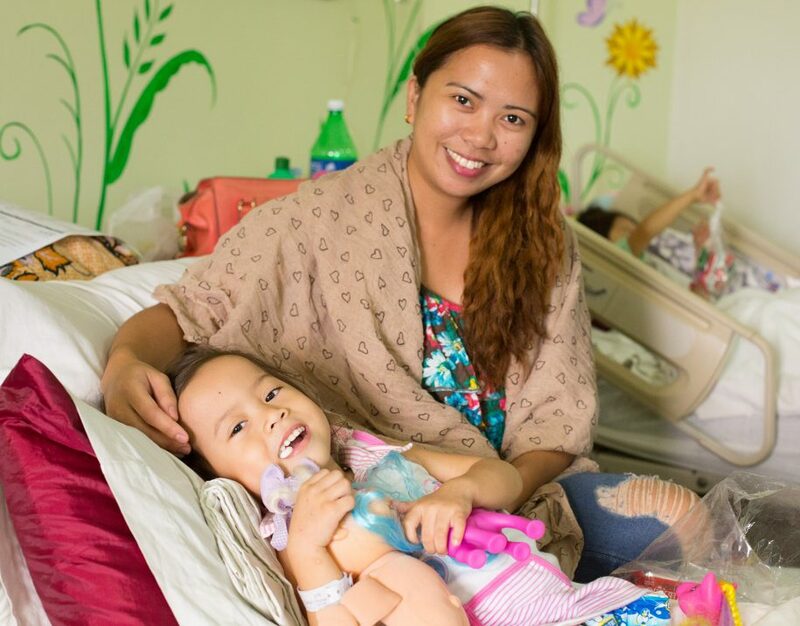 Christopher and Maricel were surprised to find a hospital in Davao that treats pediatric orthopedic conditions come up in the search results. They decided to give the Tebow CURE Hospital a try. Precious had her tendon lengthening surgery in April last year. They were all so excited for Precious to finally be able to walk on her own, unassisted. But at her follow-up appointment, it became clear that it wasn’t just her Achilles tendons that were tight; her knees and hips needed to be released as well. Precious had surgery to release her other tendons in November, which is when I met her and Maricel. Elvie (who you might recognize from The Week in Photos or from being J-Vie’s mom) took these photos of us. Short aside: Posing for photos in the Philippines, as Precious demonstrated above, is an art. I’ve been to the Philippines several times now, and at this point, I’ve learned that you just do as you’re told and hope for the best… thus, the now infamous “Look up!” photo. Please note Baby Ambot making a very special cameo in the “Look up!” photo. Maricel asked me to pray for Precious and I assured her I would. I shared a little bit of her story in our staff meeting that week and we joined Precious and her family in asking Jesus to heal her completely so she can walk. Last Saturday morning, I was on my way to breakfast when Facebook let me know I had been tagged in a video. Precious has something new to add to the list of things she can do. This is what we get to do together. We get to meet kids like Precious and cheer them on as they take their shaky first steps. We get to restore the hope of parents like Maricel and Christopher. And we get to keep supporting them, praying for continued healing, every literal and figurative step of the way. Kids are finding healing, and it’s because people like you are making it possible. Thank you so much for making these first-step moments a reality. If you want to know how grateful we are, just listen to Precious’ squeal of pure joy at the end of that video clip.